Lately I've been a little obsessed with beauty tutorials on YouTube & Snapchat... Can't get enough and there's always something so relaxing about watching people put on make-up. After watching only a few videos, it became very clear that while I've invested in some very nice make-up brushes, my collection is small... YouTube beauty gurus seem to have a brush for everything and while I wouldn't necessarily think that I need every single one, I felt the need for a bit of an update. 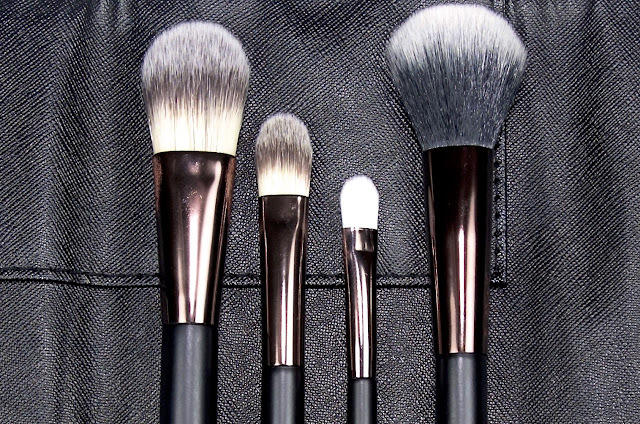 I noticed that a lot of the beauty buffs on these videos use brushes that can be found at Boots or Superdrug. Of course they use more expensive versions too, but they seem to have a very high-low mix of brushes they're using to get beautiful results, so I popped down to the local Boots to see what I could find. There are a fair few options to be honest, but I was quite taken with No. 7 Core Collection Brush Set that comes in a convenient little pouch which holds these four brushes with slots for 4 more. At just £23, this choice didn't feel like a major commitment for four brushes, so I snagged it and I've been very happy with the result! 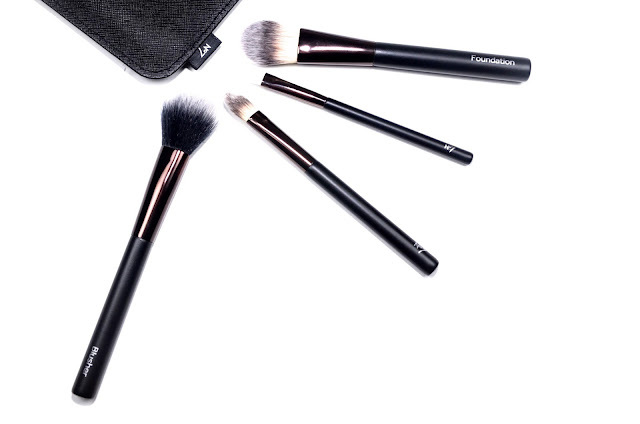 The kit includes brushes for Blusher, Foundation, Concealer and Eye Colour. The brushes themselves are made of synthetic hair. They're super soft and quite dense. 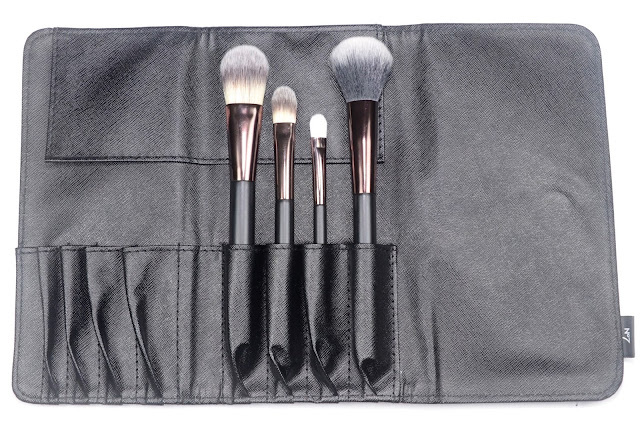 The pouch helps to protect the brushes and can even be positioned as a stand to organize them, making it super handy for travel. I find the brushes work beautifully, particularly the Blusher brush which I think has seriously improved my blush & highlighter game! The Eye Colour brush is lovely, but I think it's important to mention that it wouldn't ever be enough on its own... I typically use 3 to 5 different brushes on my eye makeup most days, so this one brush is a good addition to my collection, but doesn't cut it on its own. 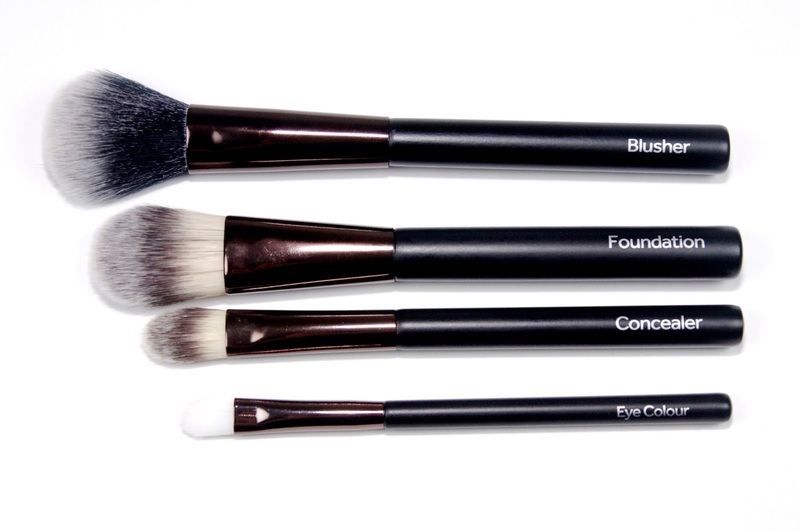 The Concealer brush is super handy and makes applying concealer so much easier, especially in areas that need quite a lot of coverage and I love the Foundation brush for applying thicker formulas evenly and smoothly. All in all, I'm very pleased with this purchase and I'm excited to try even more new brushes as I think my make-up has improved with just the addition of a few new, fun, inexpensive tools. The No. 7 Core Collection Brush Set is £23 and can be found online and in-store at Boots.